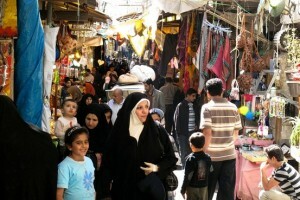 WASHINGTON—Iranian President Mahmoud Ahmadinejad has taken initial steps to remove government subsidies of key energy and food products for Iran’s citizens, a move American officials believe could destabilize his government as international sanctions bite into the economy. This week, Tehran began implementing its plan to reduce price supports on several staples by issuing cash payments to lower-class Iranians in three provinces, Iranian state media said. The payouts, equal to about $40 a month per eligible citizen, are designed to soften the impact of higher prices to come, according to Iranian officials. Iranian economists believe Tehran’s plan to cut the subsidies could lead prices on goods such as gasoline and wheat to jump by as much as 20% in the coming weeks, possibly stoking popular unrest. The unwinding of lavish subsidies can be politically explosive in developing countries: Indonesia’s cut in popular payouts helped lead to the fall of dictator Suharto in 1998. The fallout of the subsidy cuts could bolster Iranian opposition members’ case against the government, and also have major implications for U.S. foreign policy. The Obama administration is hoping economic strain will push Tehran into negotiations aimed at curtailing its nuclear program.